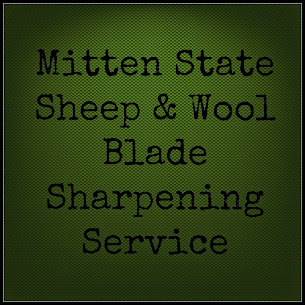 Mitten State Sheep & Wool : Disbudding, DONE! It's that time for everyones least favorite farm chore, disbudding goats. In case you don't know what that is, it is removing the horn buds to prevent the horns from growing. We dislike the procedure but feel it is a necessary part of raising dairy goats. We would not want our goats to hurt themselves, other animals or humans while in our care. Thankfully the kids bounce back quickly and act like nothing happened seconds after being put back with mom. The goat kids that is, this is one chore our twins choose to sit out. They are just too tender hearted to be involved. They like to do the spoiling after it is all over! Thankfully, we only had to do that for one this season.